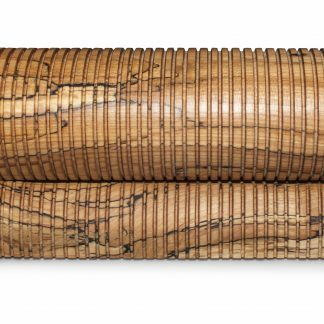 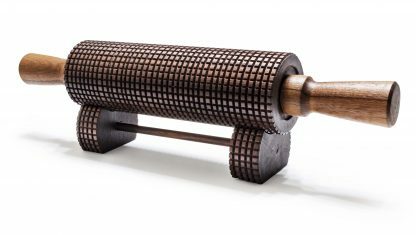 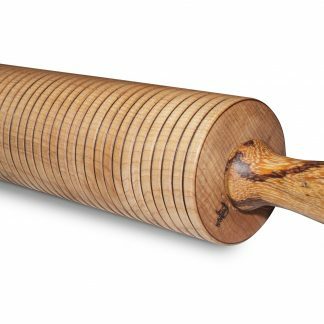 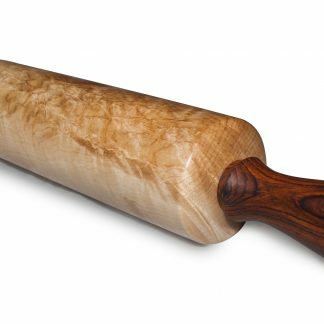 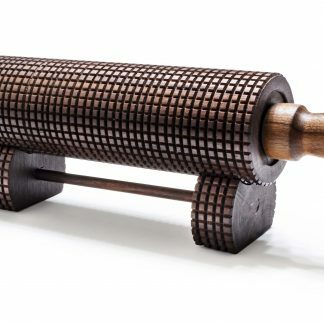 This black walnut lefse rolling pin by Minnesota Woodturners Association member Bob Puetz has two-way grooves for making too-good lefse. 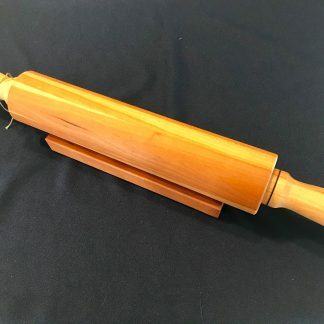 As if this beauty is not distinctive enough, it comes with a stand for showing off your heirloom lefse rolling pin when you’re not using it. 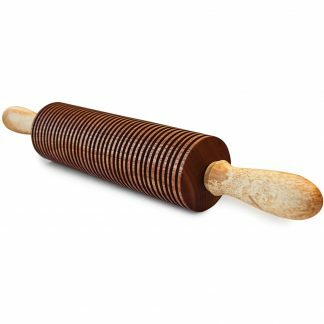 Enhanced rolling thanks to food-safe stainless steel bearings.